Walking into a sliding glass door is always supremely embarrassing. Walking into your own sliding glass doors is even worse. With this kit, entering and exiting your own home could be like walking into Best Buy. 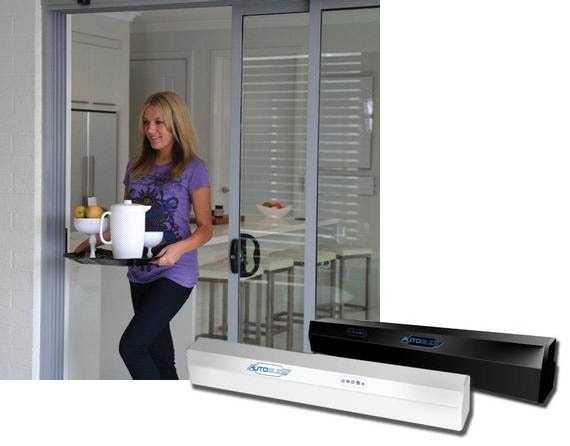 The AutoSlide Lifestyle Kit turns your boring old sliding door into one that opens as you approach it. Homeowners can set the door to open at the push of a button, or when the infra-red sensors detect your approach. In the event of a power outage, the doors will still open and close manually, without harming the motor.